The most underappreciated and neglected feature on our faces sits front and center, directly above our eyes. Do not underestimate the impact that these furry arches have on framing the face. Unkempt brows can become an unwanted focal point — like an eye-level train wreck no one can look away from. Unless you’re a Kardashian with a gaggle of makeup artists following you around to keep every hair in place, that train wreck might just be inevitable once in awhile. Luckily, with a little know-how, us common folk can keep our brows looking like eyebrow queen Anastasia herself worked her magic on them. 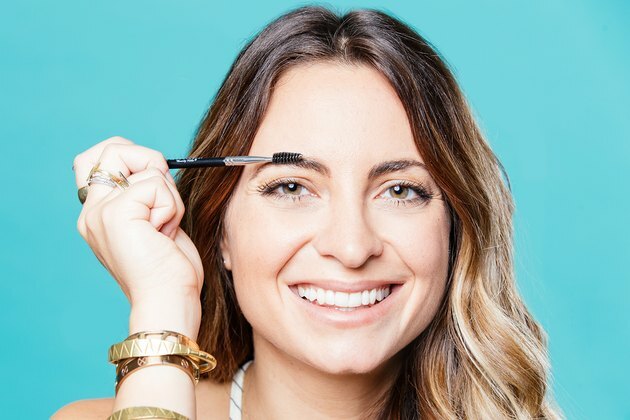 We picked the beauty-bent brains of some of our favorite makeup artists (MUAs) to get their tips for getting that brow game on point. 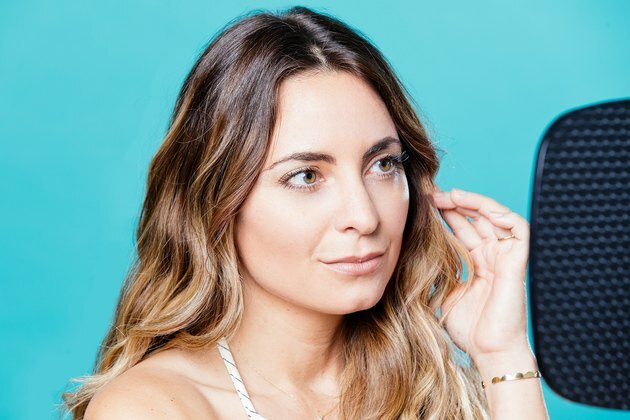 This trick really does create a softer, more natural look. From the topmost point of your brow, brush the hairs downward, toward your eyes. This makes a clear path for you to begin filling in the top of your brow. Touch up around it after you’ve brushed your hairs back into place. Vittorio Masecchia, the Los Angeles-based MUA who works his magic on the beautiful face of Ke$ha, praises the use of brow gel, which can be used on its own or in addition to pencil or powder. “Use a brow gel daily to put hairs in place and keep them there. This can make a huge difference, especially if you want to give a ‘lift’ to the eye area,” he says. If you don’t have the time to fill them in, just use a product like Benefit Cosmetics Speed Brow Quick-Set Gel. Or you can use the gel to set the makeup when you go for a filled-in brow — great for unruly brows. You can even use clear mascara as an alternative. Powder can have a powerful impact. 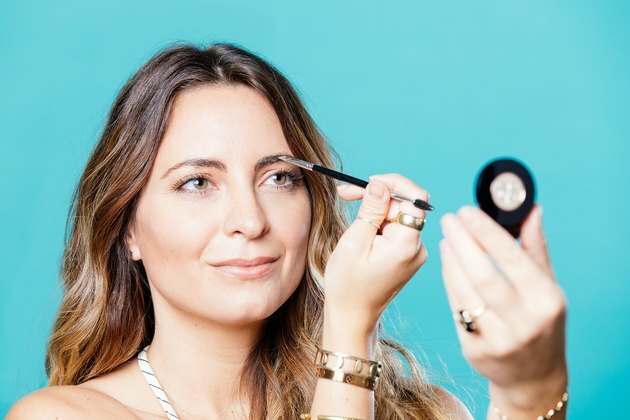 Self-taught MUA Rachel Pierret, who is based in Dallas, advises brow powder or any eye shadow that matches your brow color. “For anyone who doesn’t need dramatic brows daily, powder set with a brow gel will last just as well as any good pencil or cream,” she says. Powder tends to have a less severe look than pencil and, once you get the hang of it, can make it easier to create a more natural, well-blended look. But for beginners, Los Angeles’ Cynthia Banh advises skipping a brush and powder and going straight for a pencil. “A pencil allows for more control,” she says. Make sure to keep your pencil freshly sharpened to have a more pointed and focused stroke. I’ve been loving Maybelline Brow Define And Fill Duo By Eyestudio, and its $7.99 price tag can’t be beat. 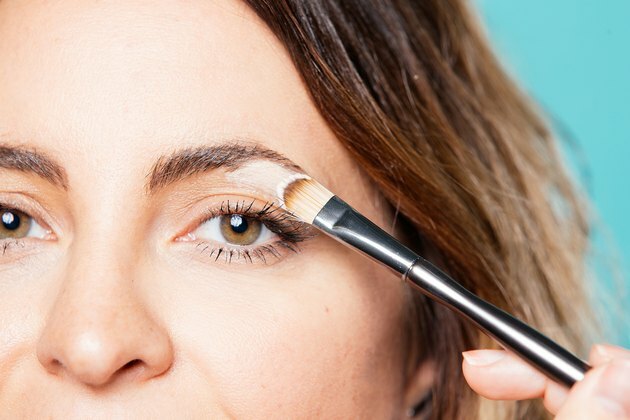 Doing the sparse areas first and avoiding filling in your brow in full allows you to keep your look natural and make use of the areas that are already full. I like to go over my brows two or three times during the filling-in process, blending between each time to layer and achieve the right look. My favorite brush is Anastasia Duo Brush #7 because it’s a two-in-one angle and eyebrow brush — ideal for blending. Pierret recommends cleaning up your brows with concealer. “Using a skin-toned concealer will help clean up any spots you missed, but won’t be too dramatic.” A cream-based concealer like Bobbi Brown Creamy Concealer will do the trick. 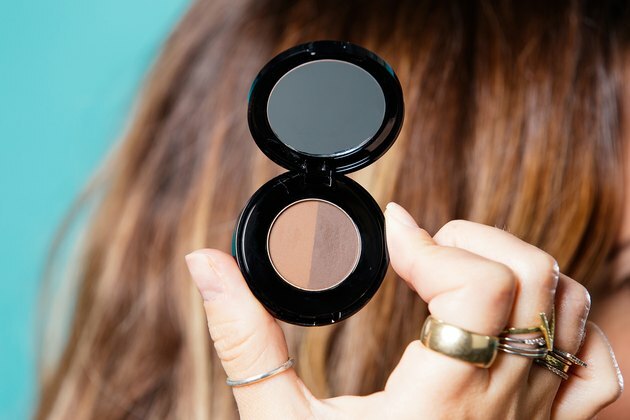 “If you want to highlight further, you can set underneath your brows with a lighter powder,” she says. Try a highlighting powder for a touch of shimmer that will make your arch pop. Trying to force your eyebrows to be something they’re not is the quickest way to make them look unnatural. “There is a clear trend with big eyebrows happening, which I fully support,” says L.A.-based freelance hairstylist Bethany McDaniel. Being a hairstylist, McDaniel also recommends being conscious of your bone structure and hair color. If you have ashy tones in your hair, choose a color with a similar tone. Wider faces can handle the look of a larger brow, while a smaller diamond-shape face can stick with a less bold look. Cleveland-based MUA and hairstylist Angie Sapanaro strongly cautions against overdoing it. “Less is more. Powder or shadow and an angle brush give you a more natural look. Sharpie brows are not cute,” says Sapanaro. Reminiscent of Gwen Stefani circa the 1990s, when dark, heavy strokes were the fashion statement of the day, this look could not be further from what’s considered chic today. Natural is fine, and the best way to achieve that is by avoiding being heavy-handed with the pencil. While stencils seem attractive for someone who isn’t a professional aesthetician, I suggest skipping them. They force a cookie-cutter shape onto your face that doesn’t necessarily flatter your existing eyebrow silhouette. Instead, follow your current eyebrow shape. Slowly fill in the areas that are sparse and you’ll see a natural shape start to form as you do this. Your arch doesn’t need to be overexaggerated if you don’t naturally have a big arch. Don’t force your eyebrow to take on a shape that just isn’t there. 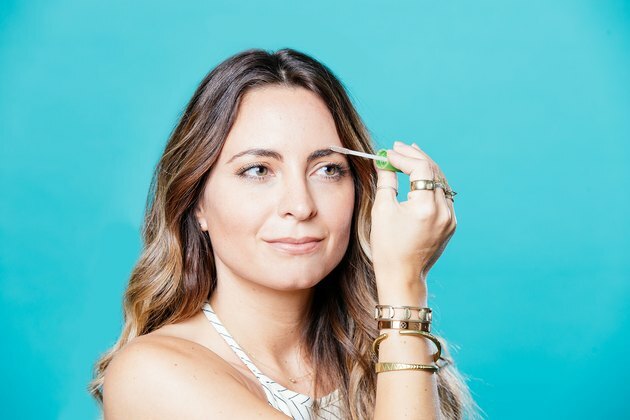 Filling your brows in before you tweeze, cut or shape is the way to do it, according to McDaniel, who suggests using a photo of yourself, celeb, etc. as a guide. It gives you an idea of how you’d ideally like your brows to look, making the shaping process easier. She also likes to remind ladies that “if your brows are a long way off from the drawn-in version, be patient.” It can be frustrating to wait as your hairs grow in, but having patience will pay off, I promise. You can even use castor oil to aid in hair growth. Apply with a mascara spoolie each night before going to bed. You can even use it on your eyelashes — just be careful not to get it in your eyes. Long, unruly brows are more reminiscent of Dumbledore than Delevingne, but a lot of women don’t realize that you can actually trim them. A trim can have a huge impact on the way your brows look. Your eyebrow brush is probably the most underused brush in your collection, but that stops today. This indispensible tool is especially important when trimming. 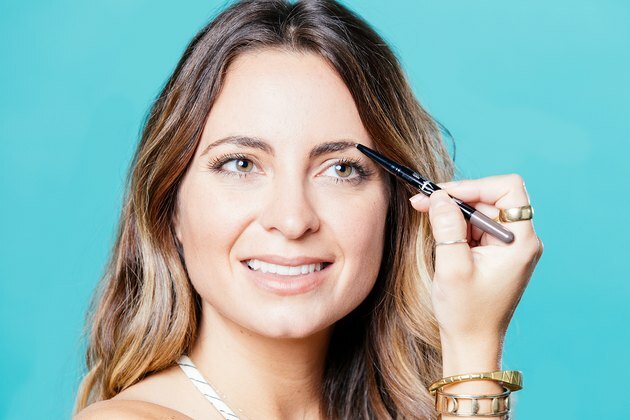 “Use a disposable mascara wand or fine tooth comb to brush your eyebrows up and trim above the brow line to keep them tame in between waxing or threading,” Sapanaro suggests. Have a plan going before you start plucking. 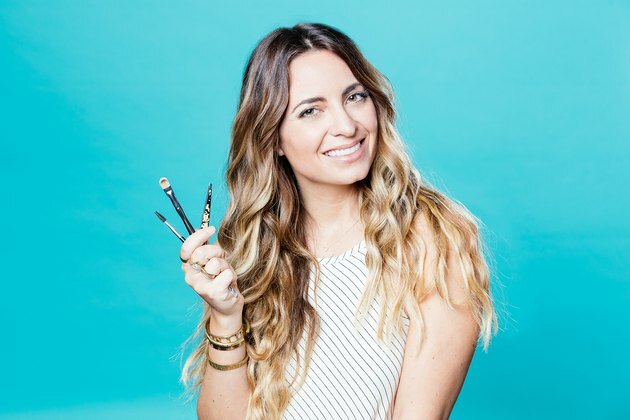 “Don’t remove hair from brows without an idea of the shape you are trying to achieve,” says Masecchia. “You can use a pale concealer on the areas you intend to remove first to see what the new shape would look like,” he says. This gives you a chance to see how your brows would look in the desired shape before you start. It’s key to understand proportion and angles when eyebrow grooming. Brows too short or long won’t properly frame your face. Many times, women are so concerned with avoiding having a unibrow that they overpluck the space between the eyebrows, creating too wide of a gap. Place your pencil or brush against the side of your nostril, keeping it vertical. Where the pencil meets your eyebrow is where your brow should begin. 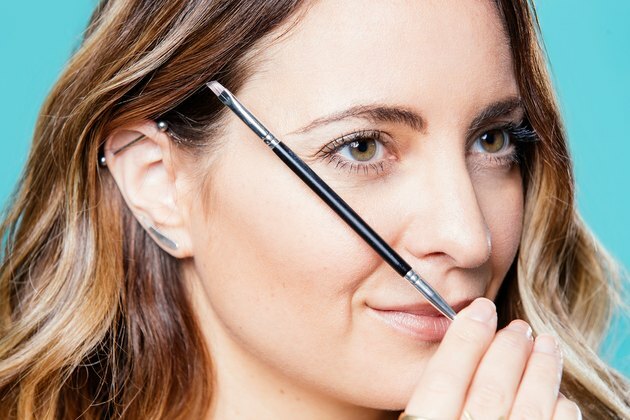 To determine where your brow should end, place the pencil or brush against the side of your nostril. Angle it along the outside corner of your lower lash line. 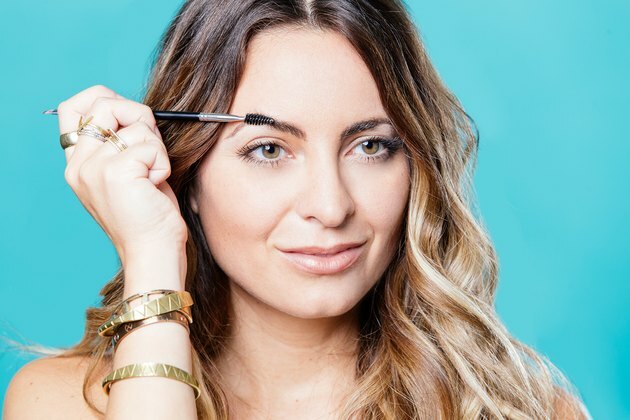 Your brow should go no further than where your pencil meets your brow diagonally. 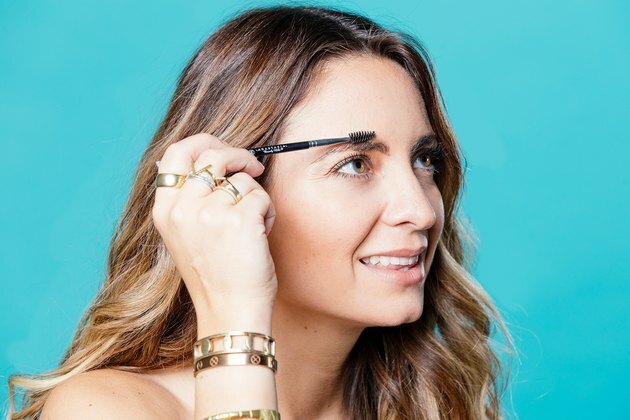 It can be tempting to go for more than one hair, especially when it’s been a while between cleanups and your brows more closely resemble a duo of fuzzy caterpillars, but I implore you to show restraint! 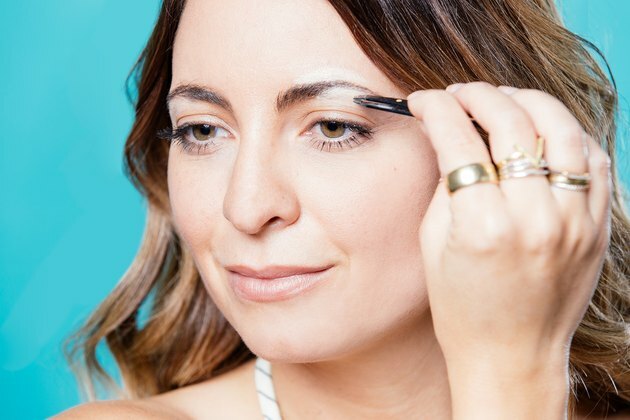 While getting up close and personal with your brows might seem like the best way to get the job done right, if you’re not as advanced in your manicuring skills, you run the risk of overplucking. If you’re skilled (or restrained) enough to use a magnifying mirror, NYC-based Laura Mitchell recommends using two mirrors instead: one to get up close and one to see the whole picture. And get a consultation before you get waxed. You can be clear about the look you’re going for and the aesthetician can help you be realistic about your expectations. Knowing the right questions to ask can help you make the right request. As with any beauty maintenance, you need some leeway before a big event to get your brows in the right shape. Just as you would never get a peel or facial just days before an event, the same theory applies to your eyebrows. There’s nothing worse than accidentally plucking out a chunk of your brows the night before a big event. I’ll admit that it takes a ton of self-control, but patience is a virtue, friends. Do you have any DOs or DON’Ts for me to try? Do you have a tried-and-true method that you swear by? Do you have any products that you can’t live without? Shoot me a comment below and enlighten me! Should You Use Cream or Powder Eye Shadow For Older Women?